Hi all and greetings from the Lucy Maud Montgomery Society of Ontario. 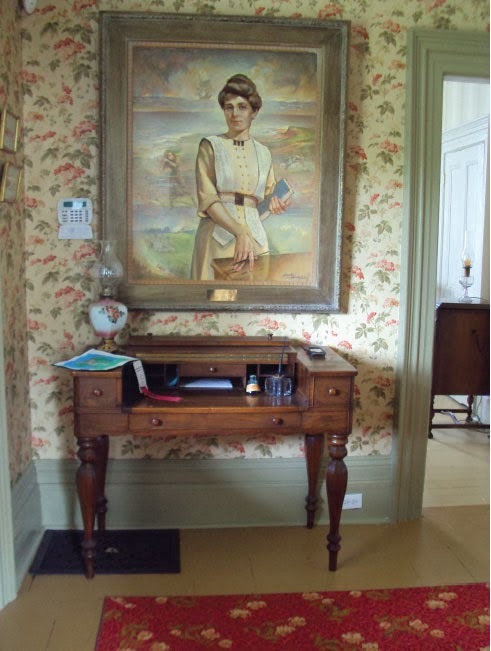 We are a group of dedicated volunteers and fans who started meeting in 1993 after the Township of Uxbridge purchased the Leaskdale Manse, home of Lucy Maud Montgomery from 1911 to 1926. Here she wrote 11 of 22 books, her poetry book and her journals of the war. Her writing had matured and become more sophisticated and she stated that she felt “Emily of New Moon” was her best work as well as her favourite novel. Over the 20 years of existence of the society, we have managed to have the Manse designated a National Historic Site, restored the exterior totally and recently the interior to 1917 when Maud lived there. We have also purchased the Presbyterian Church where husband, Ewan was minister for 16 years, have had it designated as a provincial historic site and renovated it for use as a historic centre for tours and displays on Maudʼs life in Leaskdale. Our latest nationally recognized project is creating a community garden in her honour beside the church and placing a bronze life- sized statue of her in the garden. We are half way there to our goal. As you can imagine the cost of the statue is quite high but this is a Canadian first. 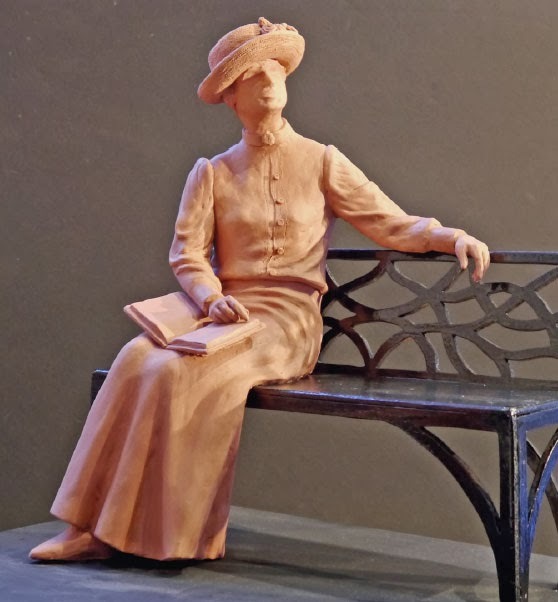 There is not another bronze life -size statue of Maud in the world. We have a professional original one woman play “Maud of Leaskdale” that is performed all summer. We have about 4000 visitors a year to our site for our various events throughout the season. Bus tours, groups large and small visit all summer to our teas, plays and other signature events. Our video gives a wonderful overview of Maudʼs life in Leaskdale as a writer, a new mother, a ministerʼs wife and an integral member and volunteer in this small community.These years were some of Maudʼs happiest and most successful years and we love to share her success and her struggles with visitors. This year we purchased the Manse from the Township of Uxbridge . This was a huge undertaking for a volunteer group. We are totally self sustaining and hope to continue to spread the word on the greatness of Canadaʼs internationally recognized author. Please come to visit us or better yet bring a group and check out our web site to see how you can support our work. Hope you all read The Golden Road in 2013 for its 100th anniversary. If not why not read it this year. Neat! I doubt I'll ever be up that way, but if I am, I'd love to visit.